From the Beginner’s Mind department of Lion’s Roar magazine. 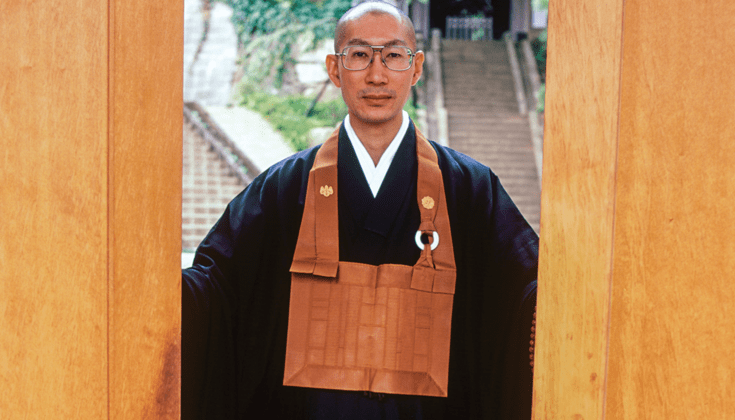 Have you ever wondered about that bib-like garment that Zen priests and some lay practitioners wear around their necks? (It was also worn by three people on the cover of the first issue of Lion’s Roar.) Called a rakusu, it’s a miniature version of the Buddha’s monastic robe. Since the Buddha’s robe was said to be a patchwork of discarded fabrics, rakusus are made of different fabrics sewn together in a patchwork pattern that resembles a brick wall. 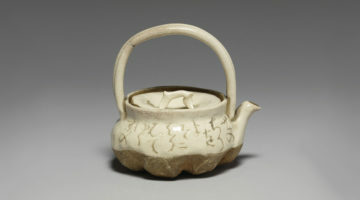 Typically practitioners sew their own rakusus as part of their preparation to take the Zen precepts. The color of the rakusu varies according to tradition and temple. Commonly in the West, novice priests wear black while fully ordained priests wear brown. 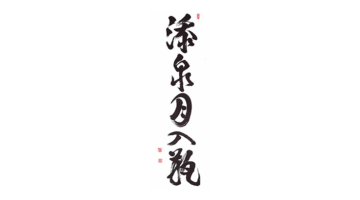 The back of the rakusu is white, and often the student’s dharma name, their teacher’s name, the date and place of the precept ceremony, and some words of wisdom from the teacher are written there. On the back of the collar there is a stitch that denotes the sect of Zen to which the practitioner belongs. Though its true origins are uncertain, some link the rakusu’s development to periods of persecution of Buddhism in China, when monks might have worn the rakusu secretly under their everyday clothes.